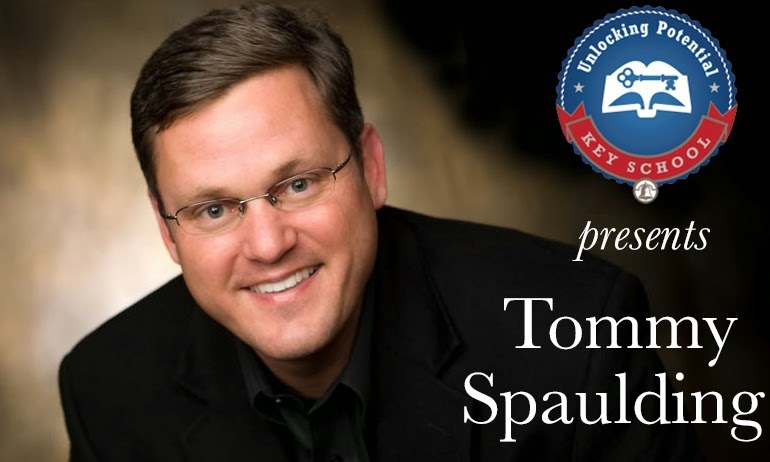 Join Carolina Day School in welcoming world-renowned, inspirational speaker and New York Times bestselling author, Tommy Spaulding, to Asheville as he shares his powerful message about true leadership, empowerment, and the impact dyslexia had on his life. Tuesday, February 17 at 6:30 p.m.
Tommy Spaulding’s keynote address inspires audiences and teaches them how to achieve unprecedented professional and personal success by forming deeper, more authentic relationships with customers, employees, clients, and other key stakeholders. His sincerity, warmth, and humor unfailingly move his audiences, leaving them eager to put ideas into action. Afterwards, share in a panel discussion with educational experts, parents, and children whose lives have been touched by dyslexia. Experts will share helpful information and parents and students will discuss their own experiences and answer questions from the audience. The Key School at Carolina Day School’s approach to learning is transforming students with language-based learning differences into high achievers and confident, capable learners. To learn more about the Key School, visit carolinaday.org/key.